Poble Espanyol in Barcelona is one of the most visited tourist attractions in Barcelona after the Sagrada Familia, The Aquarium and the Museum FC Barcelona. It is a selection of full-scale replicas of buildings from different parts of the Peninsula. Visitors can enjoy an open-air Spanish architectural museum while strolling around its squares, streets and gardens. Poble Espanyol was built in 1929 for the Barcelona International Exhibition. Since then it is considered as a real “village” in the heart of a city. The goal was to give an idea of how an ideal Iberian village may look like. It brings together all the characteristics of all peninsula villages. The building composition that has been reproduced enables the visitors to discover the architectonic diversity of Spain while enjoying a pleasant walk in a real village. It took 13 months to build the village. An interesting fact is that it had an expiry date, as it was supposed to last as long as the exhibition itself-6 months. However, Poble Espanyol was very successful and because of this it still stands and can be visited. 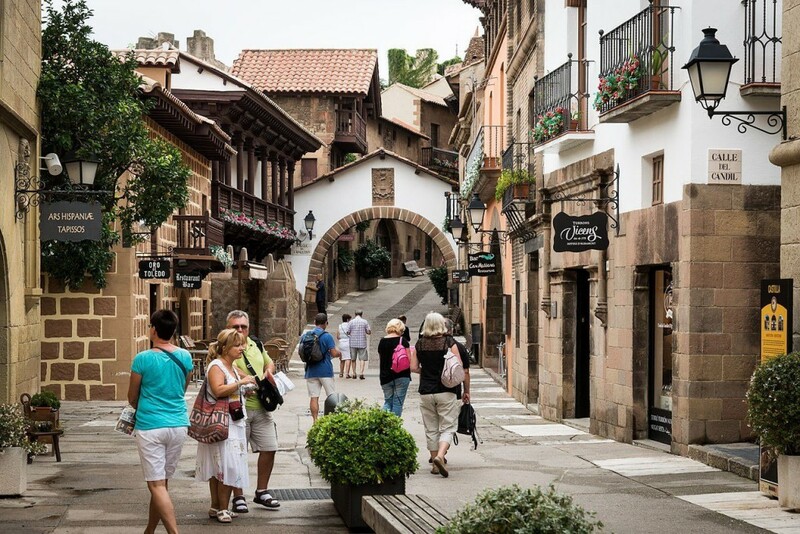 In Poble Espanyol you will have the opportunity to discover 117 buildings, streets and squares from all parts of Spain. It is an open-air museum which shows the variety of popular Spanish architecture with very different buildings combined in perfect harmony. Poble Espanyol is not only the ideal place for tasting but you may also find a nice gift for your family, friends or yourself. 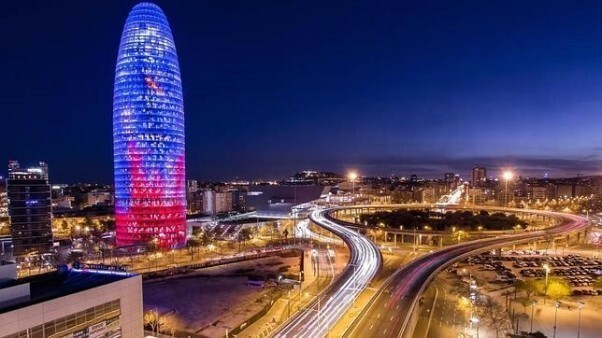 It is an ideal place in the city of Barcelona to do a very special and high-quality shopping. Inside it you will find the amount and variety of handicrafts. 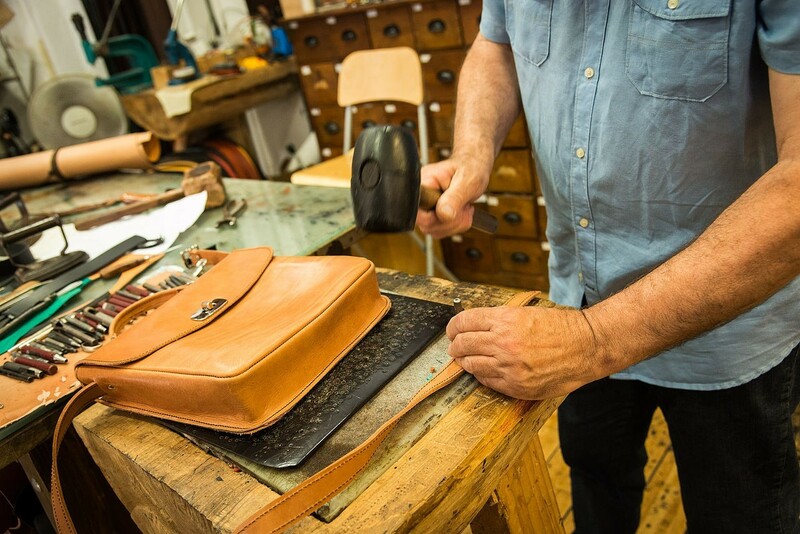 The secret is in more than 30 craftsmen who work regularly in Poble Espanyol. With their hands, they make pieces of glass, ceramics, leather, jewelry, basketry, Spanish guitars and many others objects. If you visit Poble Espanyol it is a great chance to buy typical products of Barcelona that are considered valuable because they are handmade by skilled professionals. Moreover, shopping there is an enjoyable experience. Enjoy a walk in a quiet environment without cars and in which the shops are very close to each other. This all allows the visitors to have a unique experience! Thanks to the typical gastronomy, the village is showing the diversity of the Spanish territory. There is a wide variety of restaurants and different types of activities are organised. Visitors are invited to enjoy the best flavors and culinary traditions in Poble Espanyol. There you will find high-quality bars and restaurants and just like the architecture, they illustrate the diversity of Spain. Each restaurant offers high-quality dishes and shows the typical food of the region it represents. Complete your experience of Spain through a walk around the Poble Espanyol, tasting typical dishes. As well as quality restaurants, the village has delicatessen shops with homemade products where you can enjoy the Spanish gastronomy. Take advantage of your visit and discover these shops that are a treat for your taste buds. Enjoy anything from artisan chocolate to the best oils and cold meats! Visiting the village at night is also a great experience. Enjoy a walk in the open air, far from the city traffic, and spend a good evening! Moreover, during the night you are offered a wide variety of activities, from concerts and discos to wine tasting. We recommend you to go there when the sun goes down and enjoy the night! 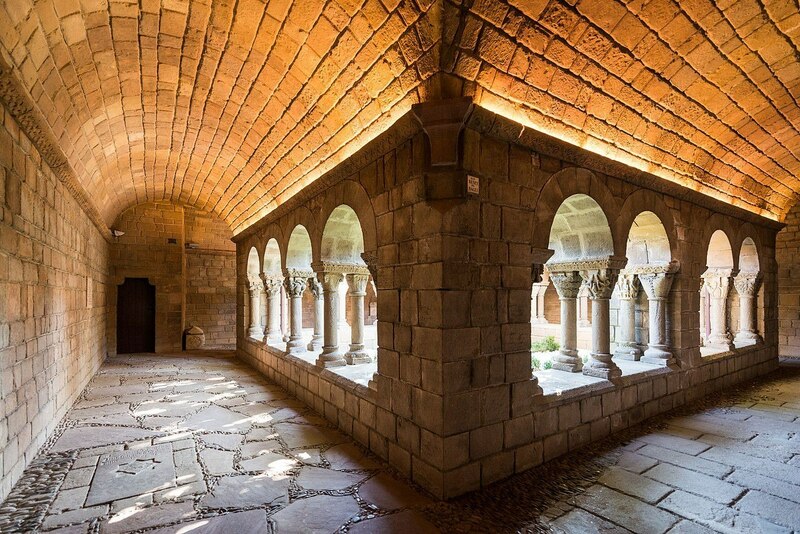 Poble Espanyol also promotes the spread of art and culture with various artistic initiatives. 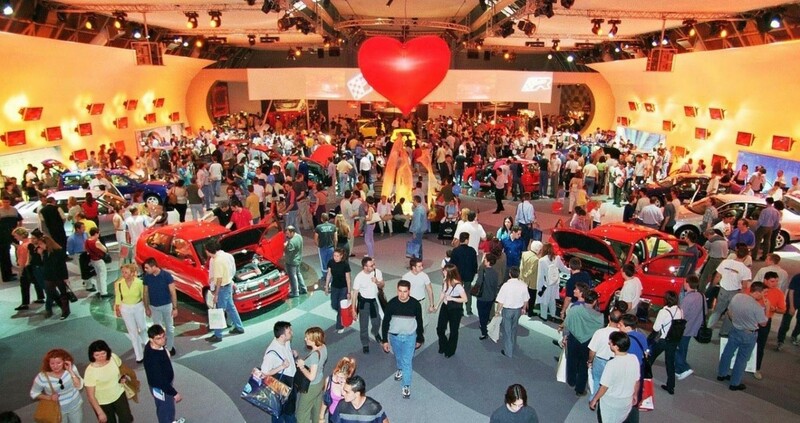 It has various spaces for exhibitions where you can see a great variety of works of contemporary art. 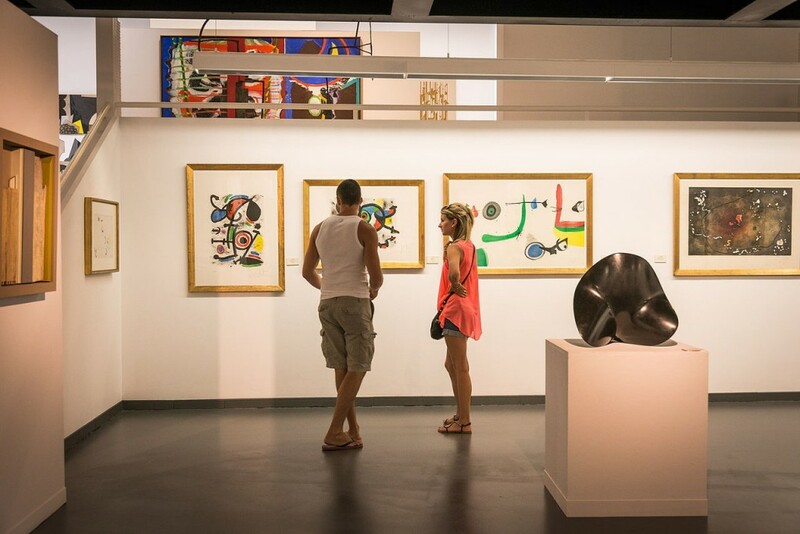 If you are an art lover you should visit the Daurel Foundation of Contemporary Art Museum, with a collection made up of over 300 works of contemporary art by internationally recognised artists, or the Sculpture Garden, a large outdoor space with 27 sculptures. A lot of fun activities are waiting for you to spend the day with your family or for a romantic evening. Visit the art exhibitions, discover how the craftspeople work and enjoy the high-quality restaurants and gourmet shops! For their weekly schedule, his passes or more information, please visit the website of Poble Espanyol of Barcelona.